Two-sided pendant. 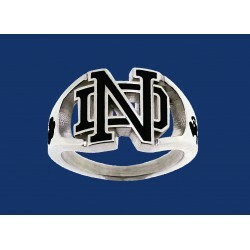 One side has the ND logo and the words “University of Notre Dame”. The other side has the Golden Dome and the words “Notre Dame Fighting Irish”.